We have from Popping Vicodin, some very interesting images from the upcoming Doctor Who season finale. 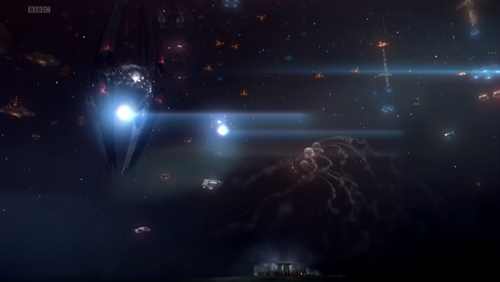 These images are from episode 12 (The Pandorica Opens) and episode 13 (The Big Bang). If you do NOT want to see these Doctor Who Spoilers, we suggest that you pull the chute now. Lets go . . .
That's some crowded real estate above Stonehenge - looks like an inter-galactic party and every one of the Doctor's nemesis has come. Who exactly is invited ? 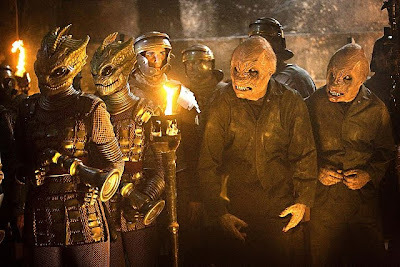 Looks like the Silurians and the Weevils (from our other fav show, Torchwood). Oh right - might as well have the Romans come too. 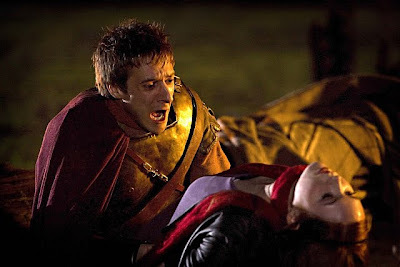 Speaking of Romans, we see here that Rory (who we thought took a dirt nap after being hit by a Silurian weapon in 'Cold Blood' has made a miraculous recovery and has acquired some spiffy wardrobe. 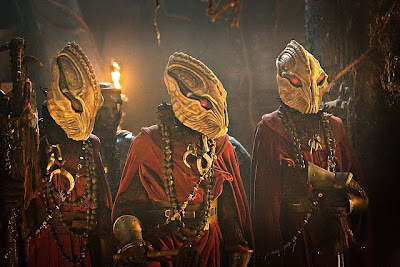 Also - a blast from the recent past - the Sycorax ! 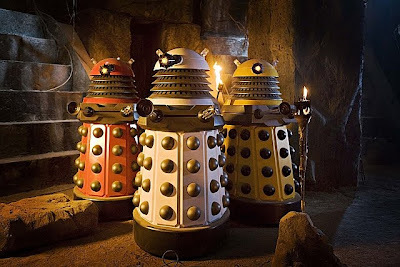 These critters were last seen during the Christmas Invasion special. And who could not invite the Daleks, now available in red, white and Kill Bill jumpsuit. 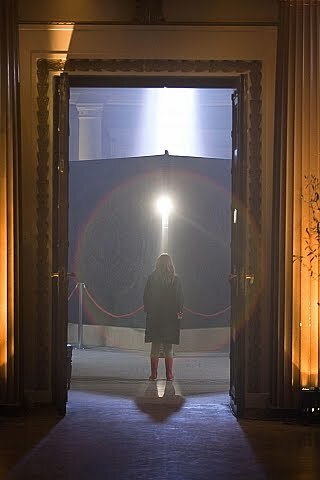 And finally, it looks like Amy Pond (the child version) is rather enthralled by the Pandorica thingy. Looks like this season finale is heating up to be epic . . . don't blink, don't miss it.